A new exhibit at London’s Science Museum traces five-hundred years of robotic development, from early clockwork-automation – such as the impressive Silver Swann from 1773- to interactive droids. 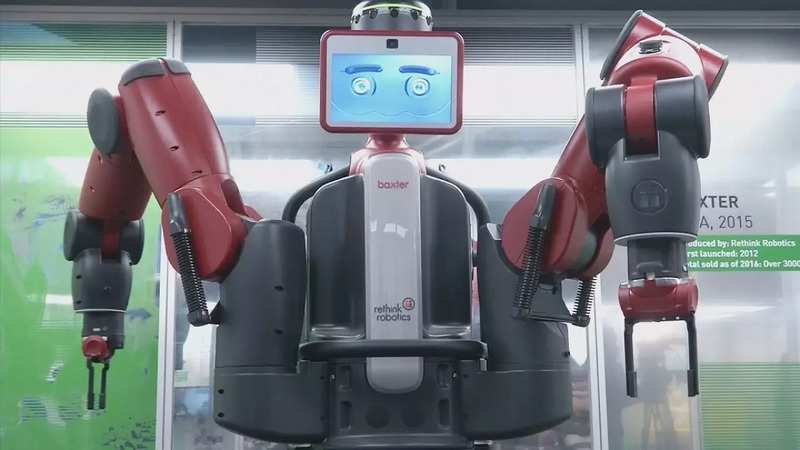 The show features over 100 robots, including some which earn their living by working. Just like their development the definition of ‘robot’ has evolved over the centuries. “Robots themselves have existed as automated beings that are capable of being programmed for many, many hundreds of years. We begin the story at the Science Museum five hundred years ago, which is where we have our earliest artefacts on display, but really in literature and archives, you see evidence of robots going further beyond that,” explained Ling Lee, Curator, Science Museum. The word ‘robot’ was reportedly first used in 1920 and since then they have appeared in various guises in popular culture. ‘Maria’ for instance featured in the 1927 science fiction film ‘Metropolis’, ‘T800 Terminator’ in ‘Terminator Salvation’. You’ll also see ‘cobots’ on show – collaborative robots which carryout precise tasks. But how much should we let robots invade our lives and work? “It’s a question that we invite people to consider in the exhibition, visitors will be able to come and see three collaborative humanoid robots that are actually working in factories alongside people today. ‘But it’s a serious question: To what degree do we want to let these robots into our everyday lives and to what degree to we want them to do work for us?” said Anna Darron, Curator, Science Museum. Centuries of robotic development has allowed scientists to replicate the human image with increasing detail and complexity. But would any of them pass the ‘Turing Test’ and be able to convince us it is human, rather than a machine? “Robots” the exhibition runs until early September.